We are pleased to welcome Sebastian D’Acunto to CMM. Sebastian’s practice will focus on Estate Planning and Administration. He will also continue performing real estate and business transactions. Sebastian is admitted in Connecticut and New York. 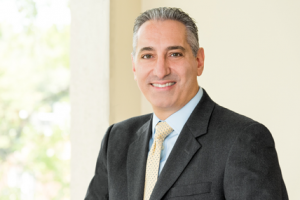 Immediately prior to joining CMM, he ran the Stamford office of Dolgetta Law, PLLC, and prior to that he was the principal of the D’Acunto Law Firm and a partner at D’Acunto & Sandor, LLP in Stamford. Sebastian is a dual citizen of the United States and the Republic of Italy and is fluent in Italian. He was born and raised in Stamford, but spent many of his formative years in Scauri, Italy. He currently resides in Ridgefield with his wife and daughter.